“Returning to the terrasse” by Bilguissa Diallo. ©2015 Bilguissa Diallo. Published with permission. All rights reserved. 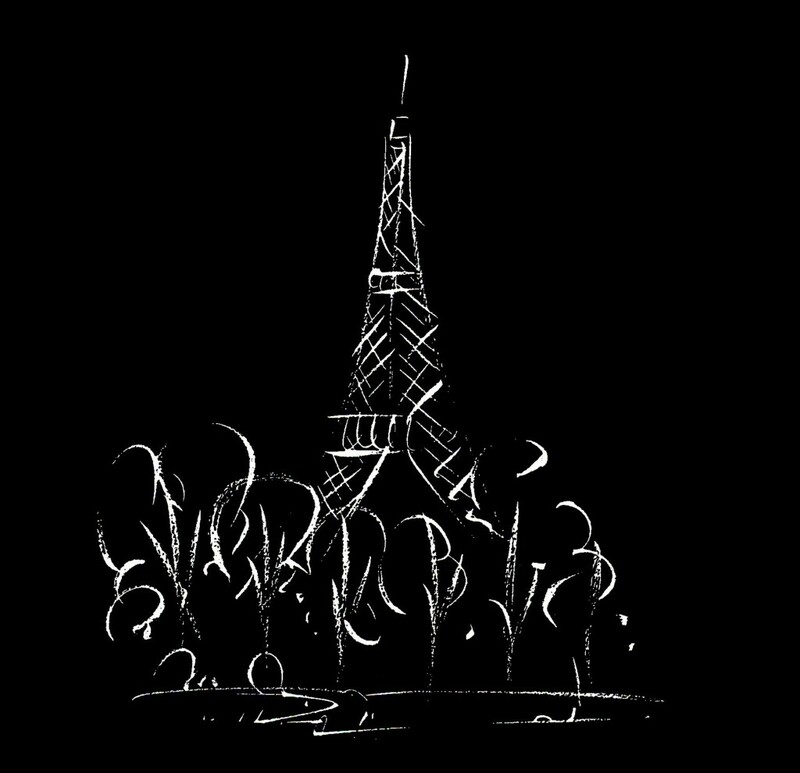 Written in response to the attacks in Paris on November 13, 2015. Paris, November 13th: I began that Friday as I would any other, not knowing that it would end like a dramatic American movie. That morning after dropping my kids off at school, I met with two other moms at the Foudres, a bar near my home. It is our way to fight the stress that usually goes along with living in a big city. Sitting at a terrasse in Paris is our way of enjoying life, to take our time to speak, laugh… simply live and support our crazy grown-up schedule! At the time, I didn’t know this simple act would become so symbolic. It was a normal rainy November day in Paris, though at one point I had noticed it was Friday 13th, meaning bad luck for superstitious people, which I am not! I even gambled at the national lottery, because usually it is more interesting on Friday 13th. I lost the lottery that day, but some people lost even more… When I left the gambling place, the atmosphere was weird: wet and windy. I figured it was time to go home to my flat to be with my husband and our kids. My older son wanted to visit his grandfather, so after dinner, my husband took him to his father’s house for the weekend. I switched on my TV and computer… I couldn’t believe what I heard, what I read. People were getting killed in the streets where I usually wander. Forty people were killed while they were eating at La Terrasse in the 11th arrondissement. Explosions at the Stade de France. Hostages at the Bataclan, one of my favorite concert halls in Paris and a 10 minute walk from my home. Within a few seconds, a regular day turned into a national nightmare. My husband and my son were on their way out of Paris, and they were supposed to pass near the Stade de France. My husband was not answering the phone, which is not unusual when he drives. I remained calm; though locked to the TV listening to the news. After an hour I could breathe again—the phone rang and as I yelled at them, “Where the hell are you?” They had crossed Paris during a terrorist attack without noticing it! They were safe! Like almost everyone around Paris, we didn’t sleep. We spent the night looking for our family and friends, desperate to know if everyone was safe. One thing struck me that night: social media became central to our lives. Facebook asked me if I was safe; and Twitter indicated to whoever needed a place where they could stay in Paris if they weren’t able to reach their home: #PortesOuvertes (#openeddoors). Parisians are usually considered individualistic, but that evening we were united as never before. Before going to bed, I realized how horrible the situation was: more than eighty people were killed at the Bataclan. We are at war with an invisible enemy: an enemy that looks like your neighbor, or a person that you went to school with. My first thoughts were: How I am going to go out without fearing someone could shoot my loved ones or me? How am I going to deal with being a Muslim and French at the same time? How will I defend my faith when people distort my faith to justify killing? At a time when minorities in Paris fight to complete the integration process, I predict that this event will move us backward forty years. How about French unity; comprehension between communities (though officially there are none here)? I am aware that we might be entering a tough historic time. The evening after felt strange. I was alone with my baby and I couldn’t resign myself to stay home. Outside? It looked like a summer day without the sun, the streets were empty, people walked fast, looked depressed, and when they spoke the only subject was: are your people safe? How did you live through yesterday night? We are all in shock. Day-by-day we hear about friends who have lost family and friends in the attacks. On Saturday, November 14th, Facebook told me that my cousin’s husband was at the Bataclan with his brother and nephew. They are traumatized but safe. On Sunday, I saw Sebastian’s picture on my computer; he is my neighbor’s best friend, and as I read the comments I learned he was among the victims. I drank a café with him two weeks ago at Foudres, the bar I go to every morning. It seems unbelievable that a nice and intelligent man is dead just because some crazy guy in Syria decided so. Even if we are lucky enough to be alive today, we know that nothing will ever be the same here. We will not take public transportation, go to the mall, or eat at a terrasse without thinking about that night and how 130 Parisians died without knowing why and who killed them. Two days after, Parisian cops chased the terrorists in Saint-Denis, a suburban city close to where I grew up. How strange it is to watch the news and have the weird impression of watching an episode of 24, but in your neighborhood, thinking you could have been there too. We stared 2015 with the Charlie Hebdo tragedy, imagining that the worst had happened, and now an act of war in the city of freedom. In January, people had different perceptions of Charlie Hebdo and what to think about the journalists killed. As French people often do, we argued about this subject. But now, we can’t even think; we all are petrified, sad, wounded, and finally feeling so French, so Parisian—even people from Marseille do (it’s the second largest city in France, and usually the ancient rival of Paris). Before that, nobody else really cared about feeling French or Parisian! Despite all this mess, I’m still going to have my daily café in the morning with my friends. Even if it will taste strange, my café will be drunk in honor of those Parisians who are dead for too many political reasons they weren’t responsible for—and for nothing at the same time! Nothing will ever be the same, but as long as we are safe we will go on and live, love, laugh, cry, fear violent death, and drink wine or caƒé at a terrasse! 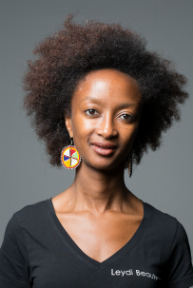 Bilguissa Diallo, French-born of Muslim Guinean parents and lives in Paris. She is an entrepreneur, author, and former journalist who has written scores of articles on culture, minority, discrimination, and social issues for numerous publications, including Respect Mag, a French newspaper whose focus is minorities and integration issues; and as a freelance journalist for newspapers in Paris: Grazia, Amina, Miss Ebène, Quelle Santé, among others. Her novel, Diasporama (2005) (ed., Ed Anibwé), about communication difficulties in French families of African decent; a childrens book, N’Deye, Oury et Jean-Pierre vivent au Sénégal (2007) (ed., De La Martinière Jeunesse); and Guinée, 22 novembre 1970, Opération Mar Verde (2014) (ed., L’Harmattan), a historic book about Guinea, the country of her parents. Text copyright ©2015 Bilguissa Diallo. All rights reserved. Leave a reply on "Returning to the “terrasse” (Paris, November 13, 2015)"